Home » Church » Divorce » Jesus » Love » Lysa TerKeurst » repent » Lysa Terkeurst's Divorce - The Church - And Is It Sin? 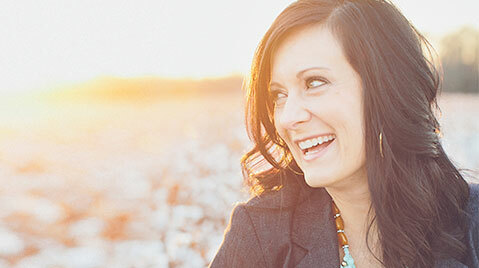 Lysa Terkeurst's Divorce - The Church - And Is It Sin? Lysa Terkeust, popular women's Bible study teacher, and author filed for divorce from her husband of almost 25 years. So many emotions went through my mind yesterday. My heart hurt for her. My heart hurts for her family. And my heart hurts for her husband who made a really bad decision to follow after his sinful desires. You see thirteen years ago I went through something very similar. I got a divorce. My first wife left me. She made a decision to pursue someone else. It really hurt. But I can tell you after thirteen years God is faithful and has restored so much to me. More actually than I can even begin to tell you. The thing I want to address with everyone is the subject of the church and divorce. This is something that I firmly believe the church needs to address, and not in some Sunday School room on a Tuesday night with 5 or 6 people in attendance. We all need to understand this. Now let me say right out the gate that I firmly believe that divorce, in general, is a sin and should be avoided at all costs, but it's not a sin that cannot be forgiven and redeemed. Just like any other sin. Here are some great resources on that topic of divorce/ remarriage from John Piper. From what I have read Lysa did all she could do to help her husband and attempted to avoid this at all costs, but in the long run, he chose his sin over his marriage. Like I said my heart hurts! The major thing that I want to address is how we, as the church should respond to someone who has been divorced or is going through a divorce. Walk in love! So often what happens we take a hard stand on this topic. Which I understand that we should take a hard stand against sin. But we should do all of this in love! What I don't think people who are not divorced don't understand is that you're going through a horrible spot in your life. They might say they understand, but in all reality, they don't. Divorce is so horrific and destructive to all parties involved. When I got remarried I remember one person telling my wife 'we don't do second marriages.' That was their reason for not coming to our wedding. I'll be honest that hurt too. So being empathetic and compassionate to what they are going through is such a good first step to helping them find redemption. Pray for them! When I say pray for them, I mean to actually sit down and pray for them and with them. Send them messages through the day that you are praying for them. Let them know you are lifting them up before our great God and King. I can't tell you how encouraging and amazing it felt when I would get a call from someone saying that they were praying for me, even if I did not let them know it was appreciated, it really was. Having people pray for me is honestly one of the biggest things that got me through some of the darkest moments in my life. Invite/welcome divorced people in! Over the past ten years, I've been able to minister to thousands of men on this very topic! I have been to multiple men's events and shared my story with so many who are going through simlar hurts. Just being present with people who have gone through something this is so life changing. We've had dozens of men in our home at our dinner table and just talked, cried, prayed, and laughed. It's such an opportunity for healing when we invest in people. When we are willing to just be present with someone during their hardest moments in life it can truly be life transforming. So I'm challenging the churches in our communities to welcome these broken people in and just simply invest in them. So today I want you to join me in praying for Lysa, her husband, and all of the rest her family. These are the moments when she needs our love and prayer far more than she needs us to be and advice column.